Carey seems to have done what he’s done several times before – he’s constructed a book from two main plot threads. One is “his” thread, one is “hers” (Oscar and Lucinda), or one is the “British” point of view, one the “French” (Parrot and Olivier) or one is “now,” and one is “then” (The Chemistry of Tears). Another example of this split narrative is seen in Theft where most sections are from the pov of one brother while other sections are from the other brother. Another thing Carey does quite often is delve into historical fiction – with the emphasis on fiction. All of the above are examples along with Jack Maggs and True History of the Kelly Gang. The linking surface plot line in The Chemistry of Tears has generally to do automatons, but the variation on this develops into many themes. 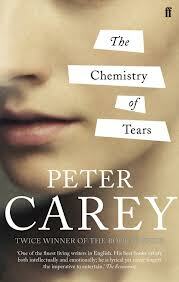 There are a lot of little things going on in this The Chemistry of Tears which seem to plead to be put together. There’s the idea of loss and grief as Catherine, the 1st person protagonist, grieves her recently deceased lover. Another aspect of love is the love of a parent for a child. There’s the idea of automatons and how human-like they can be and the power they can have over people. There’s some magic, or is it mental illness, spilling from math to manic obsession? There’s true friendship and then there’s the Gulf of Mexico oil spill. “ ‘ YOU ARE WHOLLY UNABLE TO ASSOCIATE WHAT YOU SEE WITH WHAT YOUR LIFE HAS TAUGHT YOU.’ ” (p. 142). The long-term married lover of Catherine Gehrig, an horologist working at a museum in London, has suddenly died. She had thought no one knew they were lovers but she was wrong, her boss, Eric Croft knew – and tries to console her, advise her. She is secreted away in a special little studio where she unpacks a tea-crate and finds the notebooks of Henry Brandling – the man who commissioned the automaton now residing, in pieces, in the museum. Chapter 2 is what Catherine is reading. It takes place in June of 1854 and is the first-person narrative from Brandling who has a very ill son and an unpleasant relationship with his wife. Brandling is obsessed with constructing Vaucason’s duck for his son. 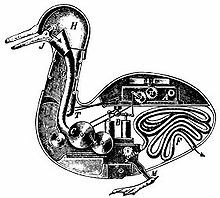 So Henry heads off to the land of the coo-coo clocks in Germany, in the hopes that one of these creatures can be constructed for his son before the boy dies. He lands in Karlsruhe, near the French border, home of the Black Forest, the coo-coo clock and several of Grimm’s Fairy Tales. The story gets a bit strange at that point – there are many unexplained things – rather as though he’d landed in fairy-tale land. And there he wangles his way to meeting Herr Sumper who has access to the clocks and we’re not quite sure what else. Meanwhile, next chapter, Catherine gets an assistant named Amanda who seems really a bit strange, even for a bright girl working in a museum. Another major theme here is the nature of obsessions, love primarily but others. Catherine is obsessed by Matthew, her lover, then the emails they traded before his death, then the swan (as the automaton turns out to be), then Henry’s notebooks. The characters in the 21st century part of the book are wonderfully well drawn. I felt like I knew them and was cheering them all on. 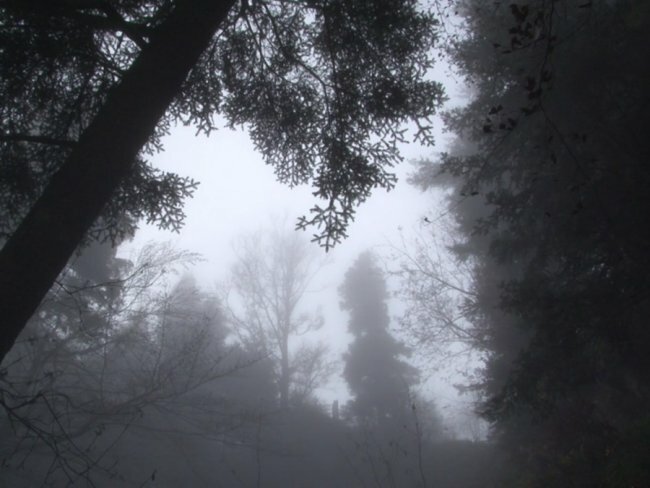 The characters back in the Black Forest were a bit spooky and grotesque – very much like fairy-tale versions. I have no problems with that but they were less comprehensible and more removed – perhaps that’s as it should be? This is a photo of the Black Forest where Henry goes to get the duck made and where the Brothers Grimm created Rapunzel, Sleeping Beauty and Hansel and Gretel. There’s a little video clip of the area at Vimeo. and the Washington Post review. Ah good Bekah … glad there was more! I liked this novel too, though like you and others, I got a bit lost in Germany when it got rather wild. I did decide that it is somewhat about ambiguity, about science versus belief, about accepting that not everything can be explained while at the same time appreciating the intellectual desire to understand more. It’s a fine balance, a paradox, but I think that’s what it’s about. Yes, I did enjoy it – especially the 21st century characters.